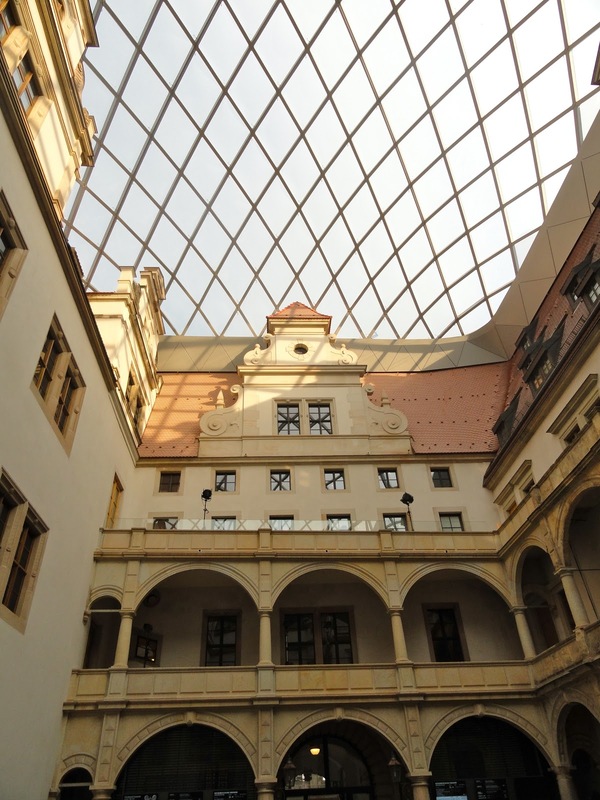 Dresden, the city that is recreating itself in its former image after being destroyed during World War II, also takes credit for being the inventive home of the brassiere, filter cigarette and tea bags. My introduction to the city was a special concert in the beloved Frauenkirche, a pastel and gold swirling froth of Baroque energy where much of the city's restoration was centered. It was the first night of the annual convention of the Society of American Travel Writers and not only were we treated to a concert, we were allowed to photograph the interior. 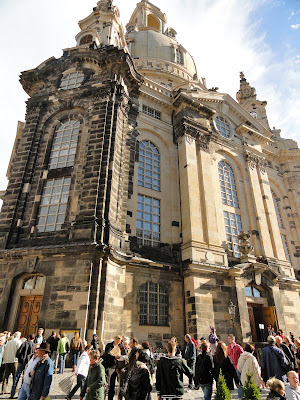 Visitors hear much about Frauenkirche and its destruction in the final days of the war. According to our guides, while the church itself was not hit by a bomb, the buildings of the surrounding square were and the heat from the fires caused the dome to collapse. To Dresden residents it was their heart, the most important part of the city that needed to be restored. More than 100,000 individuals contributed to it. 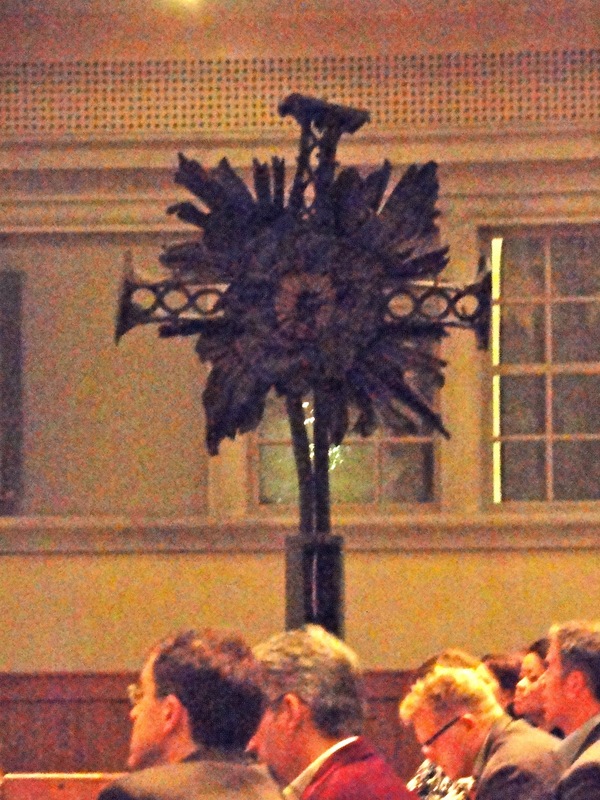 The cross that originally topped the dome was damaged but found. You can see it inside the church. 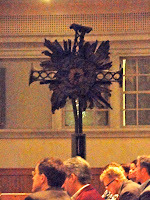 The cross there now was created and donated by the son of the Englishman who piloted the bomber that dropped the bombs causing the square and the church's destruction. Tip: Unless you climb to the top of the dome, the only steps you'll have to contend with are those from the square up to the church. Every time someone talks about the city's destruction, credit is given to "the rubble ladies," the many women who gathered and saved the remains because most of the city's men were either dead or in prison. Restoration stories abound. 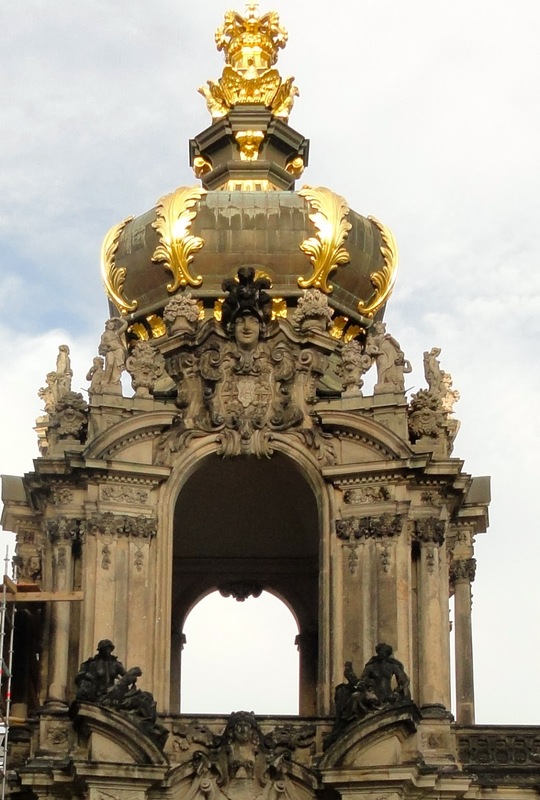 A Russian officer who loved Baroque architecture forced the Germans to start rebuilding the royal palace immediately. During the bombing its basement was a refuge, then a storage place for potatoes and a "farm" for growing mushrooms. At war's end, a local architect talked the Russians out of blowing up the damaged Opera House when he arrived one night with three bottles of vodka. By the last drop, the Russians had decided to rebuild it instead. Augustus the Strong's seat of power and palace, one of 23 he built in Saxony, and its the Zwinger, festivity park, is one of the city's scenic cornerstones. Not only does it give us an image of that royal era, it houses the state's collection of Old Masters, its Meissen (second only to the collection at Topkapi in Istanbul), armory, maps and globes, its awesome Turkish pavilion and the fabled collection of precious materials and jewelry in the famous Green Vault. 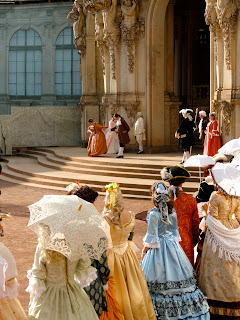 We were treated to a Baroque concert and costumed display of royal dancing which anyone can order - all it takes is money. It really is fun to watch and our group of travel writers was far outnumbered by delighted tourists. As you approach the palace from Frauenkirche, don't miss the only Renaissance-style building left, Kurfuerstich Reissiger Stall, formerly the royal stables and yard designed for knightly training and tournaments. 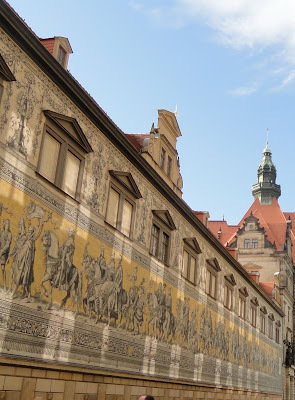 Along its street side is the striking Procession of Princes where all of Saxony's rulers are portrayed in 25,000 tiles from the Meissen Porcelain Manufactory. Talk about being well located! The arch connecting one section of the palace with a building, Taschenberg Palace, outside the inner complex was built by Augustus the Strong to the house in which he deposited his favorite mistress. 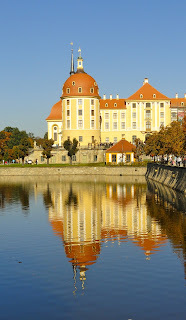 Today her palace is a Kempenski Hotel. The other scenic cornerstone is the Elbe River that flows through Dresden. Nine historic paddle wheelers ply its waters offering short tours or excursions along 14 stops in an 80-kilometer stretch. 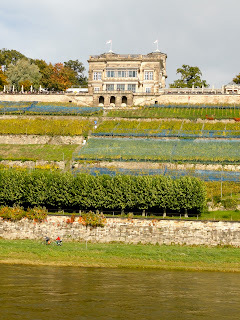 Our short excursion took us from Dresden's center, along high banks of vineyards and beautiful homes to just beyond the Blue Wonder, the only bridge to survive the war. The food was good, too. Warning: These craft are antiques and do not have lifts or handicapped bathrooms. However the stairs up to the top deck aren't bad and crew is eager to help if the river's water level is such that you need help getting on or off. In between all of this is a charming, bustling city that I didn't have nearly enough time to see because the convention was split between Dresden and Leipzig. Sigh. Add one more gotta-go-back to the ever-growing list. Tip: Because of its charm a lot of meetings and conventions are held in Dresden, many at the well-equipped but less than charming for Levelers ICD, International Congress Center. If you are attending a session there, be warned the building is one stairway after another and the elevators are not easy to find. Instead of climbing the stairs to enter, look for the blue and white handicap sign on the north side of the building. Inside the door underneath it and immediately to your right is a small elevator. Take it to the third floor. There will be the coat check and bar to your left; another elevator is ahead of you on the right. Are there any convention cities you have tips for? Let me know and I'll include you and your tips here. "Saxony" sounds strong, rich, luxurious and is fun to say. 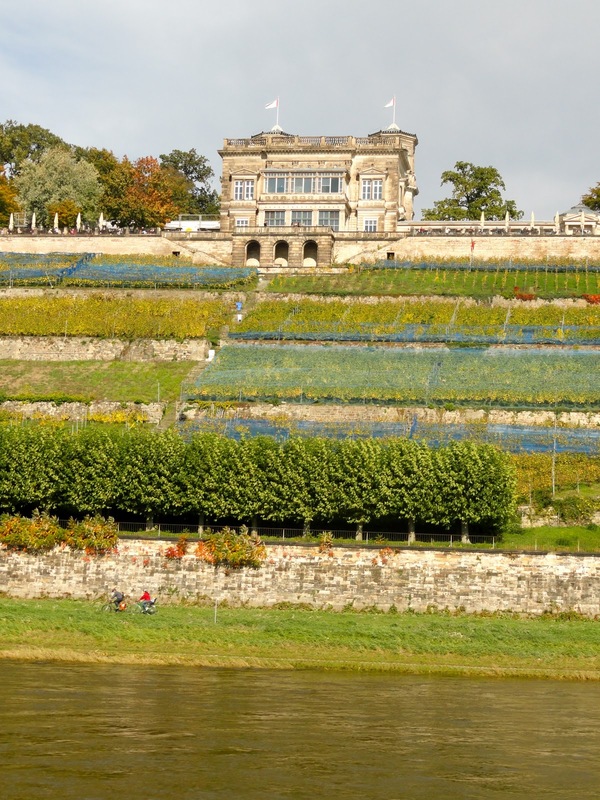 The Free State of Saxony in southeastern Germany is great to visit, too. Since the reunification of Germany - which started here - it has become the most popular destination. With its strategic Elbe Valley, castles for fortification were a necessity. Trade with the rest of the world was a given and riches soon followed. Heinrich I was the first Saxon ruler to be King of Germany (919-936), establishing the art-loving House of Wettin which ruled for more than 800 years. Augustus the Strong (1694-1733) was its star. Martin Luther's Reformation began its spread from Wittenberg in 1517. 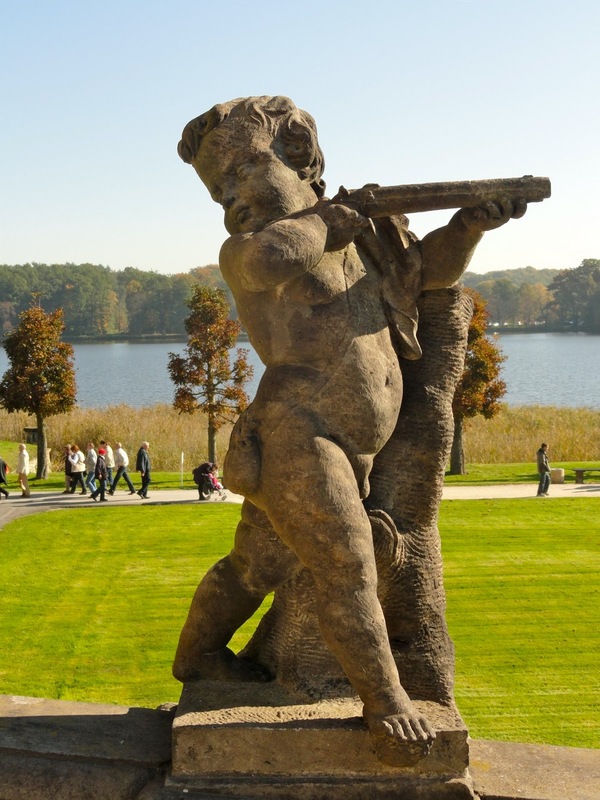 Saxons were builders of palaces and collectors of art. 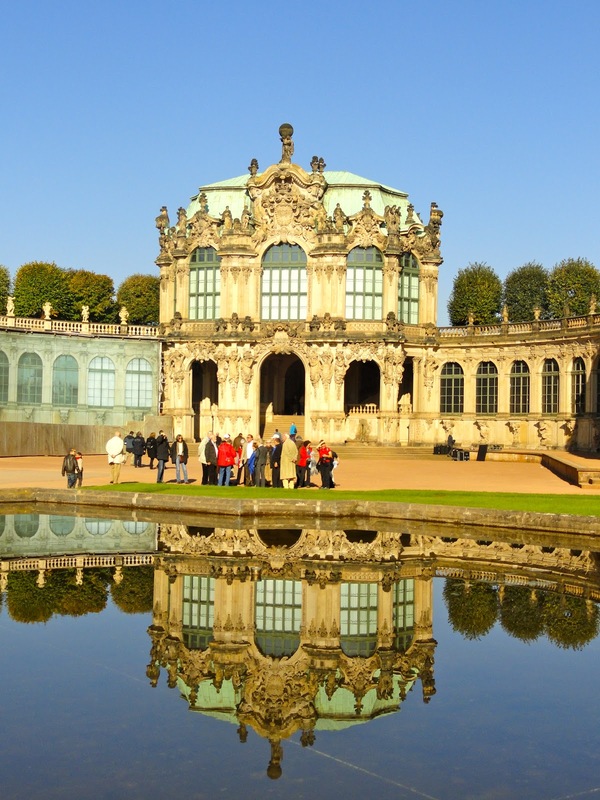 There are 240 museums in Saxony, Germany's densest population of them. Here are the former residences I hit on a one-day tour organized by the German Tourist Board. Alas, though well-organized, it was timed to the minute with no room for seeing everything much less lingering. Mortizburg Castle, originally built by Duke Moritz as a hunting lodge in 1723, was turned into a grand venue for parties by Augustus the Strong. 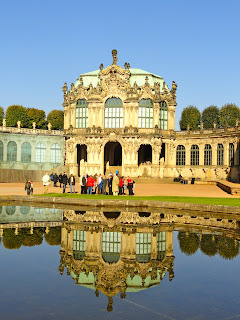 It is a moated (in a pond which in Germany means it was man made; a lake is nature's product), four towered Baroque jewel of rich golden ocher trimmed in white and capped by an orange roof. Known primarily for its collection of antlers (the best in Europe), leather wall hangings and and feather artwork, I found the kitchen implements, menus for lavish royal parties and the peaceful vistas of primary interest. Didn't have an opportunity to visit the famed Moritzburg stud whose warm-blooded horses are coveted by many an equestrian (Queen Elizabeth bought 14 Mortitzburg stallions). Tip: You will park nearby and walk to the castle along a bridge. The downstairs is easy, but you'll encounter steps on the tour of upstairs. 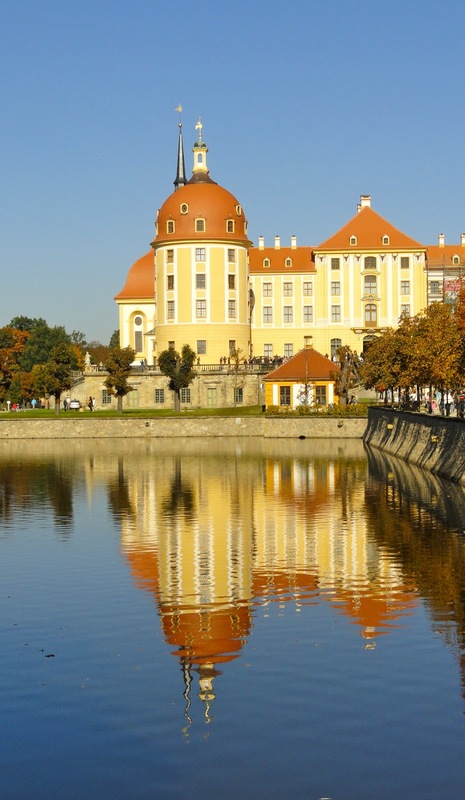 If Moritzburg is a jewel, Pillnitz Castle and Park is a chinoise crown of gems, a waterfront pleasure palace. With its pagoda-style roofs, Castle Museum, Museum for Crafts and Arts, English, Dutch and Chinese gardens, you don't know where to look or go first. Tip: Take a day to pace yourself and do it justice. You will walk a lot but you won't be overwhelmed by stairs. There are places to eat and drink and vendors offer some of Saxony's special treats - gingerbread filled with marmalade and covered in chocolate. It wasn't my fave but do try some. To Augustus the Strong, the Orient was heaven on earth, thus the chinoise style. 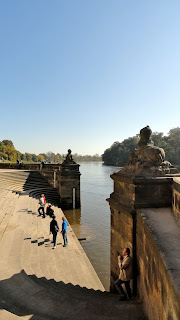 He also considered the Elbe River to be Saxony's Grand Canal so Pillnitz sits 250-feet above the river. 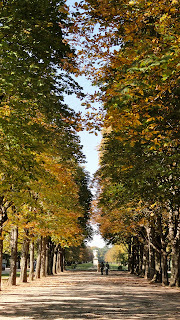 Warning: Everyone says arriving at Pillnitz via the Elbe the way royalty once did is the best way. It probably is if you aren't a Leveler; a 250-foot rise in elevation requires a lot of steps. I'd advise coming by road and saving your energy. The gardens are superb. You won't want to miss the 140-year-old red beech, the 250-year-old Japanese camellia tree which produces 35,000 blossoms in March and April or a remarkable 150-year-old lilac tree, an ordinary German variety on the bottom, Chinese lilac on the top. It blooms in May. Gardeners have been trying to reproduce the combination for years without success. Perhaps they should stop trying so hard. The secret of producing porcelain was discovered in Saxony by accident. Johann Friedrich Bottger, an apothecary and charlatan, claimed he could make gold, but what he did was succeed in firing porcelain instead. After eight years he presented Augustus the Strong with porcelain, soon dubbed "white gold," which was almost as good. For years, Europeans had tried to recreate this prized product of the Orient and in January 1710, Augustus proclaimed he had. 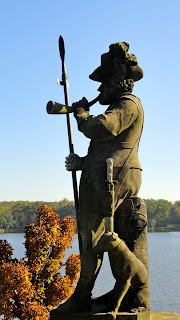 To keep Bottger and the secret safe from poaching monarchs, he ordered a factory to be built in Albrechtburg Castle high above Meissen where it operated for 153 years. The Baroque Garden Grossedlitz is an unfinished vision of Augustus the Strong and supposedly the the best pure Baroque garden around. 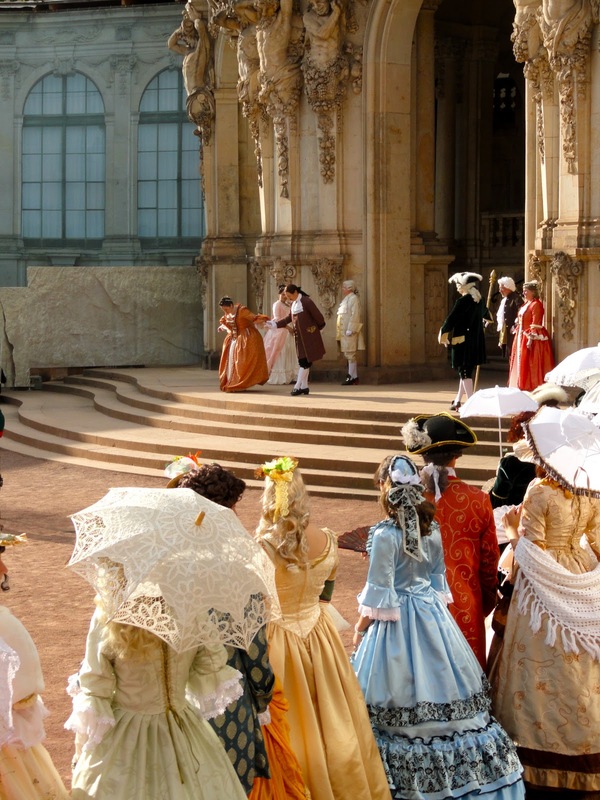 Meant to be the Versailles of Saxony, it presents quite the vistas and will no doubt be worth a visit to lovers of formal gardens. I found it exhausting and not worth it because of the many different levels and stairs leading to and from them. The map shows a "barrier free path" to the lower areas but I never saw it. Blame it on too many palatial residences in one day. 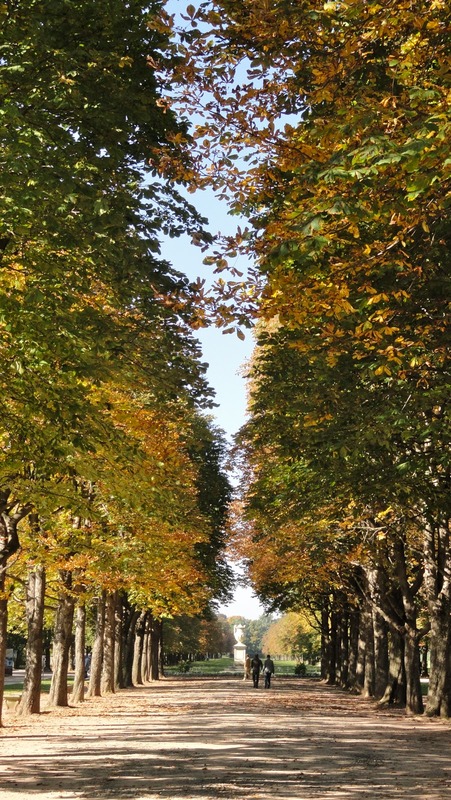 German efficiency is grand but some of us need more American ambling and idling. Tip: You can buy a Tour Pass for seven days that will get you into more than 50 of Saxony's historic castles, palaces and gardens for 18 euro. By the way, I found residents, guides and the average herr in the street, willing to talk about World War II, the damage - human and otherwise - incurred, living in the Communist-controlled zones and the reactions when the wall fell and reunification arrived. Such conversations invariably begin when the guide or resident explains the damage from Ally bombing and subsequent reconstruction, pointing out that dark stones are original, pale stones are replacements. 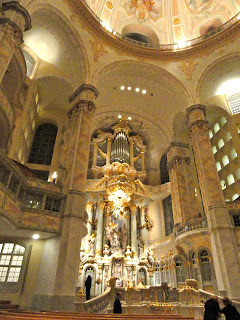 Next posts: Saxony's signature cities, Dresden then Leipzig. Note: To see what what was served to Augustus the Strong go to my blog, www.foodafar.blogspot.com.